,Frieza 1st Form and Piccolo to round out this wave. As for the build a figure, nothing was listed for it yet but it will take wave 10 to complete it. Here is a recent image showing off some of wave 9 and 10. Just keep in mind, until fully revealed this is subject to change. The Dragon Ball Stars Series is comprised of the most highly detailed and articulated figures in the Dragon Ball line. Standing at 6 1/2-inches tall and having 16 or more points of articulation and additional hands, these figures can be posed in hundreds of positions. 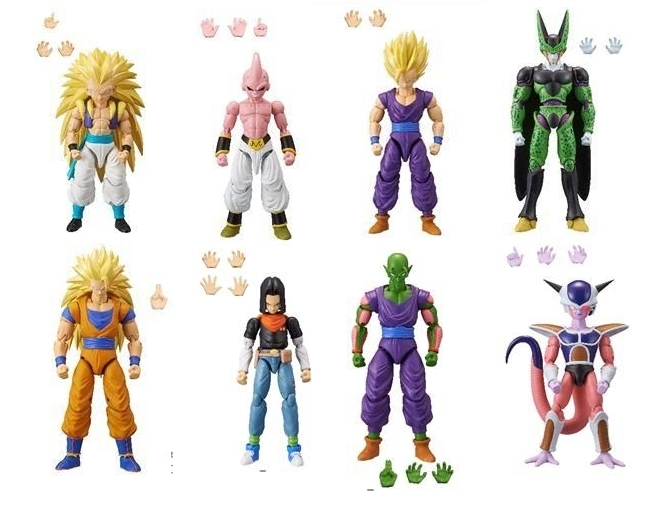 The Stars action figure line includes many characters from Dragon Ball‘s rich history. Figures come packaged with an exclusive collectible piece that can be combined to build-a-figure! Each figure sold separately. Ages 4 and up.